Electric Vehicle numbers are on the rise. Whether part of a personal driving choice or as a way to reduce the impact of company car BIK, drivers are moving to electric. 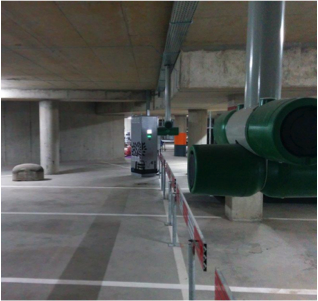 As the migration takes place, Management Companies and their Management Agents are coming under increased pressure to facilitate EV charging on their premises. Moreover, as Owners and Landlords consider the value of their properties and the strength of return on their investment , they want to ensure that the property keeps up with the times and competes with their competitors. The Electric Vehicle and EV Charging are the new 'Mod Con'! PLAN now and ensure that your complex is prepared and ready to engage with EV's in a way that works for your client and works for you. EV Charging services need not be a drain on resources, but instead should be at least cost neutral (including management overheads). Install it incorrectly and it will cost you. Install it properly and it can make a profit. Eninserv provides Irelands most comprehensive and impartial advice. Get in Contact for more details of how we can help you get it right.